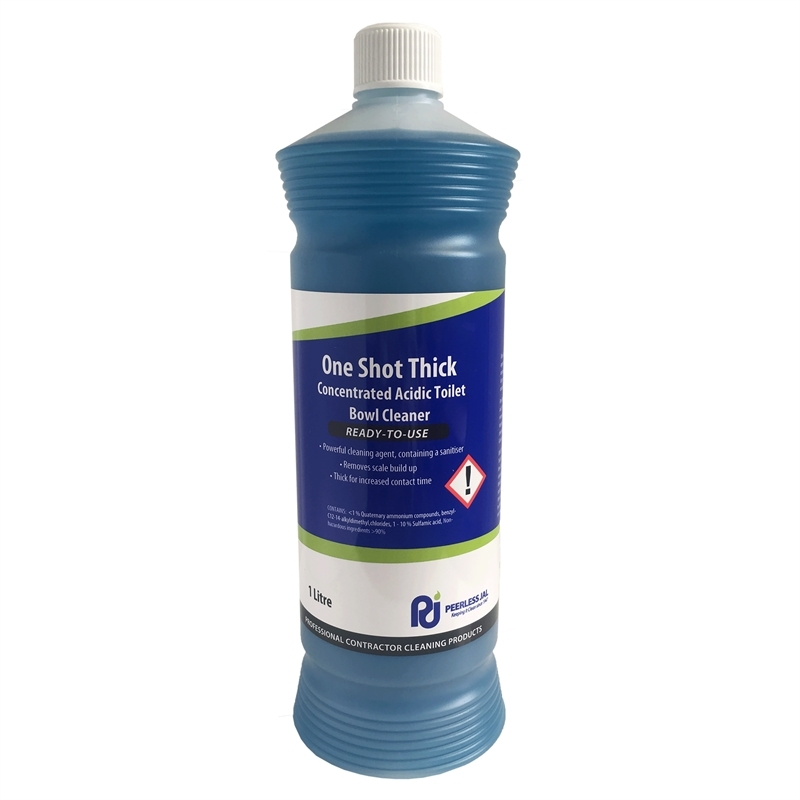 One Shot Thick Acidic Toilet Bowl Cleaner is a powerful commercial use cleaning agent, designed to remove scale build up. 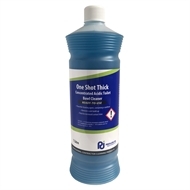 One Shot Thick contains a sanitizer and is thick for increased contact time. Toilet Bowls - Squirt product around the bowl. Scrub with brush. Ensure thorough cleaning under the rim.Urinals - Squirt product onto step and stainless steel, scrub with suitable brush. Avoid skin and eyes contact. Wear suitable gloves when handling. Do not mix with chlorine containing products.